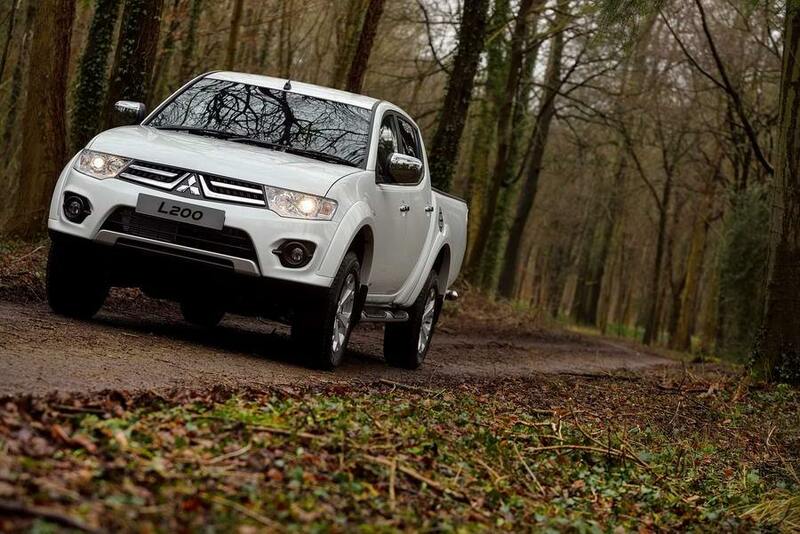 Mitsubishi pretty much owns the pickup marketplace in Europe thanks to the L200. Mitsubishi pretty much owns the pickup marketplace in Europe thanks to the L200. It’s been around since the late 1970s, but only in the last two decades or so has it really sold in big numbers, the fourth-generation model highlighted here replaced in 2015 with the new fifth-generation variant. Available as a five-seat crew cab or a regular cab in two- and four-wheel drive versions it’s powered by a 2.5-litre turbodiesel engine. Competing with contemporaries like the Ford Ranger, Nissan Navara and Isuzu D-Max, the L200 is a hugely versatile work, or family vehicle. Whether you need a grafter for work at the farm or building site, or a family vehicle that doubles up as a work machine, then the L200 has it covered. This fourth-generation model was on sale for ten years, arriving in 2005. It’s the pick-up that really brought desirability to the class; before the L200, pick-ups were only really considered workmanlike utility vehicles, but the L200 changed that, tempting lots of buyers out of conventional four-wheel drive vehicles with its curvaceous styling and car-like (relatively speaking) drive. The range is fairly simple; all are powered by a 2.5-litre four-cylinder turbodiesel engine, the output being either 136h- or 175hp, the body choices being either a five-seat double cab or a single cab with two seats. There’s four-wheel drive on most, but some single-cab models are rear-wheel drive. Most popular are the 4x4 L200 Crew cab models. The L200 got a facelift in 2009 that's worth looking out for, as it also benefitted from a longer cargo area. Given the rugged nature of the L200 and its genuine go-anywhere capability it’s worth having inspecting it underneath for off-road abuse. It’s easy enough to look as the L200 sits rides so high. The 2.5-litre engine is robust, if fairly noisy, the L200 offered in standard manual guise as well as optionally with an automatic. There’s plenty of choice, Mitsubishi offering it in lots of trim levels in its ten years. The 4Work models come with the basics, Trojan, Warrior, Intense and a host of other specials all come with car-like levels of specification. A crew cab 4x4 in Intense specification covers everything you could possibly want. Five seats, too, so room for the family, albeit it in the relatively cramped rear passenger area. We’d stick with the manual, as well, as the auto only worsens economy and emissions. If you want the flexibility of a dual-purpose vehicle the Mitsubishi L200 is difficult to fault. Sure, it comes with some compromises as a daily driver, but if you need its talent for work they’re worth it. A great all-rounder, though it’s not cheap to buy or run.